It’s been an exceptional year for smartphones. They got sleeker, taller, and faster; their cameras took brighter and more detailed photos in low light; and more devices than ever added background blur, with the help of software smarts or by relying on an extra camera. The current landscape is populated by a staggering number of compelling choices. In this roundup, we’re looking at the cream of the crop — the smartphones you can’t go wrong with. 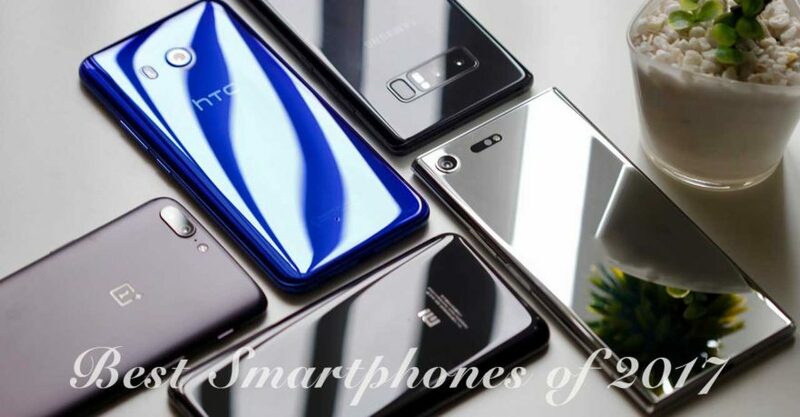 To compile this list, we’ve restricted ourselves to phones we’ve used, both internationally and domestically, and then picked out the best models in the budget, midrange, and premium segments. In addition to the winners per category, we included four honorable mentions. To compile this ‘top smartphones of 2017’ list, we’ve restricted ourselves to devices we’ve used, and then picked out the best models in the budget, midrange, and premium segments. Do note that these classifications are based on how brands see their products. Do note that these classifications are based on how brands see their products — hence you’ll find the OnePlus 5 and LeEco Le 2 under the high-end and midrange brackets, respectively, despite their price tags suggesting otherwise. With that in mind, here are our best smartphones of 2017 — from wallet-busters brimming with shiny features to wallet-friendly ones that punch above their weight — with the runners-up presented in no particular order. Among the Android flagship phones we’ve used, its dual 12- and 20-megapixel main camera setup takes the best photos — monochrome or otherwise. It’s not marketed as a selfie phone, but its 8-megapixel front camera captures some of the most amazing selfies even under low light. Its HiSilicon Kirin 970 AI-enabled chip may not be on a level with Apple’s A11 Bionic, Qualcomm’s Snapdragon 835, and Samsung’s Exynos 8895 Octa just yet, but it’s so much better than the 960. And its 4,000mAh battery with support for fast charging can last you more than a day with moderate usage. All these for a wallet-friendly price of P32,990, measly when compared to the price tags of two of its biggest competition’s flagship offerings, the Apple iPhone X and the Samsung Galaxy Note 8. So if there’s one best bang-for-the-buck premium smartphone released in 2017, it has got to be the Huawei Mate 10 hands down. There’s one reason that has kept us from using an Android phone as our main daily driver. It’s the reason we didn’t hesitate to plunk down serious cash to have another Apple device, the iPhone X, as our primary handset for the next year. iOS, for all its shortcomings, represents the best thing that Apple has done for its mobile devices: design both software and hardware for better integration. This union has resulted in a faster, slicker, more responsive, and more intuitive user experience. It’s why iPhones — even with half the RAM of their Android counterparts — can run the most demanding games at the highest settings without breaking a sweat. It doesn’t hurt that developers prioritize it over Android. Couple this with a much-needed redesign; a nearly borderless, razor-sharp, and vivid 5.8-inch OLED screen made by the best display manufacturer, Samsung; support for wireless charging; a hands-off security solution in Face ID; and a camera system like no other, and we’ve got ourselves a winner. Too bad that we didn’t get to use the OnePlus 5T; it would have probably been on this list instead of the OnePlus 5. But no matter. Their main differences lie in the camera system and display, and its other features remain the same. So its slick performance — from handling heavy tasks to jumping from one app to another courtesy of a Snapdragon 835 chip paired with as much as 8GB of RAM and 128GB of built-in storage — should most likely remain close to, if not the same as, its successor. You should still get the OnePlus 5T’s ergonomic design for that added comfort and easier handling and a fast-charging technology that’s right up there with OPPO’s VOOC rapid-charge tech. Better yet, its high-end specs don’t come with a high price. Sure, it may be more expensive than the OnePlus phones that came before it, but P26,490 and P30,990 are still low by a flagship smartphone’s standards, are they not? This Galaxy, more than the squarish Note 8, is still 2017’s best-designed smartphone in our book. Coming from an unfortunate Note 7 battery issue that had put Samsung under fire, the Korean tech giant had a lot to prove to consumers — and proved it did. The result has been the most beautiful metal-and-glass assembly we’ve seen — one that’s nice and easy to hold. There’s also that 5.8- or 6.2-inch display that spills over the entire length of the frame and leaves little room for unsightly bezels. But be warned: This seemingly dainty beauty is a beast performance-wise. With the 10nm Exynos 8895 Octa powering the Samsung Galaxy S8 that was lent to us early-2017, the phone is much faster in computing tasks and much quicker in graphics compared to its predecessor. That monster-like quality extends to its camera system. Even though composed only of a single 12-megapixel sensor, that has made the Galaxy S8 shoot better pictures than most other Android flagships. Complete specs of the S8 here. S8+ full specs here. We’ve never seen a more underestimated high-end smartphone than the HTC U11. A shame, really, considering that it’s worth your every peso — a reasonable P36,990 for the variant with 6GB of RAM and 128GB of internal storage. For that, you get a 12-megapixel rear camera that can shoot some of the sharpest stills and videos. 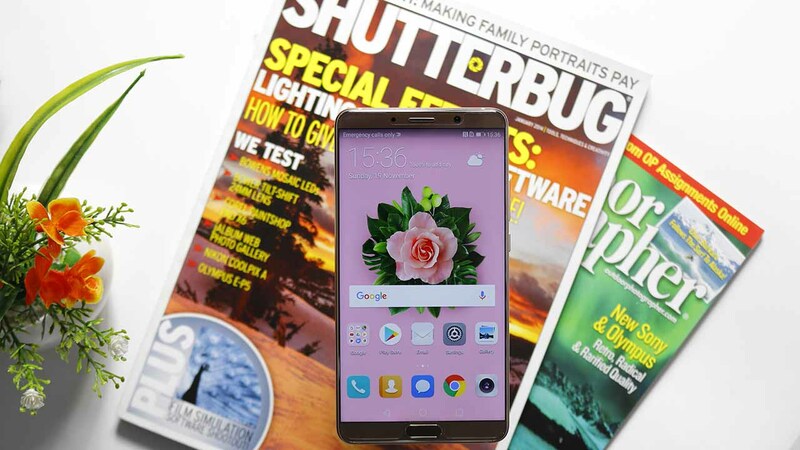 No wonder that at one point, before the release of the recent crop of flagships such as the Samsung Galaxy Note 8, it was imaging-quality site DxOMark’s top choice. You also get Qualcomm’s Snapdragon 835, which lets the handset handle most tasks effortlessly, even running the poorly optimized NBA 2K18 Android port at maximum detail without hesitation. There’s an IP67 water- and dust-resistance rating; a glass back that is fused with layers of highly reflective minerals to make it seem like it’s changing color; and pressure-sensitive sides that let you perform specific tasks when squeezed. It helps that HTC has pushed regular updates for the U11, including Android Oreo. Guess who’s back in the running among the most popular smartphone brands in the country? (Go ahead, we’ll wait.) Huawei didn’t make a huge splash in 2016. 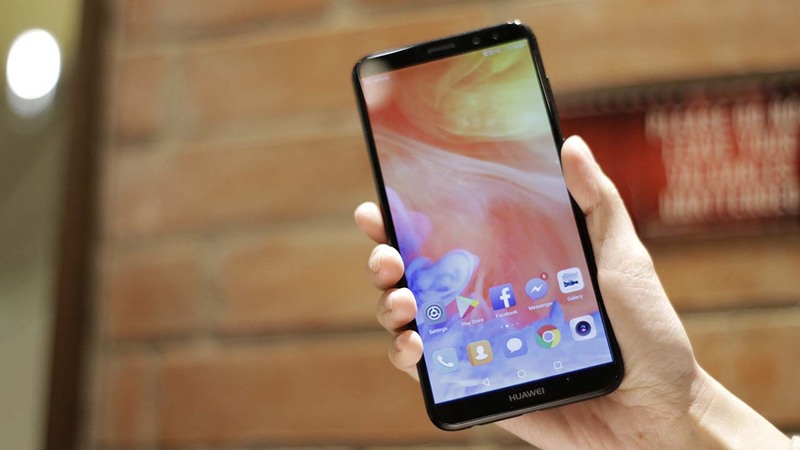 However, tides has started to turn for the Chinese OEM in 2017, when it launched the Huawei Nova 2i in the Philippines with an aggressive price tag that is lower than we had anticipated. A double shot of front- and back-facing cameras (four — four! — in total); a large, 18:9 screen encased in a pleasant metal shell; nippy performance made possible by Huawei’s own octa-core Kirin 659 processor — prospective upgraders will find plenty to like here. Take a bow for another splendid release, Huawei. Maybe it’s unfair to compare the LeEco Le 2 to others in the category just because it can be had for around P7,000 on Lazada Philippines right now. Headlined by a snappy Qualcomm Snapdragon 652 system-on-a-chip and a punchy 5.5-inch 1080p display, it offers tremendous value at a fraction of the cost of most midrange devices. It’s a gem of a smartphone, faster than anything you can purchase for the money. And the only reason we didn’t hold it in higher esteem than the Huawei Nova 2i was because we felt it would be unpleasant to crown a phone without local warranty coverage of any kind. The king of selfies it’s not when you consider all smartphones in all categories (the Huawei Mate 10 and the Apple iPhone X shoot better self-portraits). However, the OPPO F5 is a great choice for P15,990. Value for money, really. At that price point, it’s impossible not to consider it — whether or not you’re into touched-up, smoothened-out selfies. Pushing out one of the first, if not the first, phones to take advantage of the new MediaTek Helio P23 chipset was a bold yet welcome move, and the inclusion of a bigger, taller screen — running at full resolution, no less — proved OPPO could keep up with modern trends. Sony’s elite phones can be divisive. We’re not sure whether we love or hate the boxiness and obnoxious bezels of the Sony Xperia XZ Premium and Xperia XZ1. And we certainly don’t consider them to be excellent camera phones. But in the midrange? Sony’s top-dog status shouldn’t be questioned. The Xperia XA1 is yet more proof that the Japanese are more than capable of producing quality smartphones without seeing you reaching deep in your pockets. It ticks all the boxes: a good HD screen; a good set of 23- and 8-megapixel cameras; good performance and battery life courtesy of its Helio P20 chipset. We also find it so convenient to use, with most of its side bezels disappearing from view. Here’s another widescreen phone you ought to consider. The Vivo V7 is loaded with meaningful features that work as advertised, such as a widescreen display; a 24-megapixel selfie camera with face-recognition technology; and a Qualcomm Snapdragon 450 processor that can crank through most tasks with ease. The 720p resolution suggests it doesn’t set the bar high enough, but for under P15,000, you can do a lot worse than the V7. 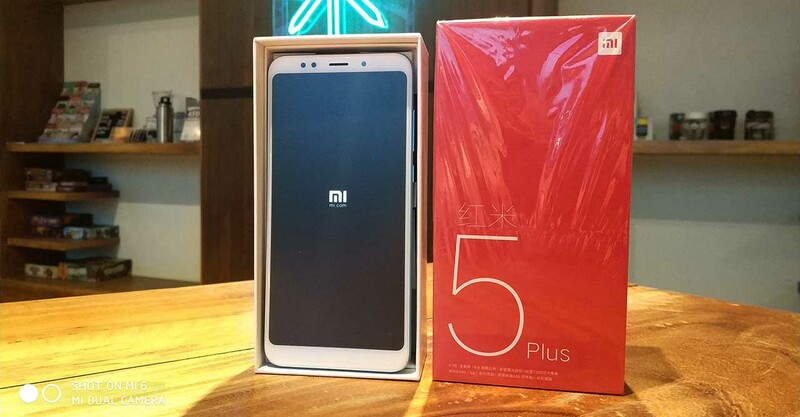 Is there anything out there that rivals the Xiaomi Redmi 5 and Redmi 5 Plus in terms of bang for the money? We reckon there isn’t. Xiaomi absolutely killed it in the mass-market category this year, racking up win after win with its famed Redmi series. These near-bezel-less entries may not be particularly gifted in the camera department, but the rest of their specifications, including their 18:9 screens, midrange Qualcomm processors, and above-3,000mAh batteries, put the budget lot to shame. Complete specs of the Redmi 5 here. Redmi 5 Plus full specs here. We can’t think of any other OPPO phone, current or older, that retails below P10,000 and comes with as many compelling features as the OPPO A71. The lack of a fingerprint reader stings a little, and the 16GB of base storage may not be enough if you want to use the phone as a media device. Thankfully, its balanced performance and comfortable size make up for its weaknesses. The A71 is worthwhile proof that OPPO shouldn’t limit itself to producing selfie experts — especially when there are other niches to be filled. Speaking of niches, the ASUS ZenFone 4 Max is about as niche as a mainstream phone gets now, particularly in the bargain segment. The 5,000mAh cell is enough to keep the unit alive for days, while the dual-camera system around the back, which consists of a 13-megapixel standard camera and a 5-megapixel wide-angle camera, is versatile, allowing you to frame landscape shots properly with the touch of a button. But perhaps what is more impressive is the Max’s size, which isn’t defined by its massive battery. All dimensions considered, it’s a reasonably sized daily driver. Light on glitz and fireworks, the Vivo Y53 is one of those no-nonsense options that aren’t complicated to use and stand out by leaning on components that allow them to handle 3D games just fine. Too often, processing power and graphics capabilities are determined by a device’s worth. But that’s not the case with the Y53, which pairs a respectable Qualcomm Snapdragon 425 processor with 2GB of RAM. It’s a great introduction to smartphones, though casual photographers on a budget are more likely to find a good match elsewhere. As with the Xiaomi Redmi 5 phones after it, the minimalist Redmi Note 4X is a real bargain, with battery life to spare and an ergonomic back that doesn’t feel too slippery. The LCD screen is big, bright, and sharp enough, and holds its own against more expensive devices from big-name brands. The Note 4X, if you want to get technical, also runs a mid-tier Snapdragon 625 processor and starts with 3GB of RAM, so stuttering isn’t an issue for the most part. Is it all good news? No. Xiaomi phones aren’t officially available in the Philippines just yet. That means you have to import it if you want one, or purchase from a reseller based in the Philippines. Still, though, it’s hard to argue against any phone that costs very little, yet delivers the superior performance and attention to detail usually associated with pricier handsets. Alora Uy Guerrero and Ramon "Monch" Lopez have a combined 26 years of experience in the publishing industry, having worked at Yahoo, T3 / Techie, TV5, Mega, GadgetMatch, and Gadgets. This website is their passion project.